Ron Woodruff is an electrician and rodeo cowboy in 1985 Dallas. He is a hard-living character who suddenly finds himself unable to burn the candle at both ends. He is diagnosed with AIDS and is given 30 days to put his affairs in order. He panics and searches for alternative medicines. AZT is the only available treatment in the United States and is not necessarily available to all. The drug is still in the clinical trial stage. He is in denial not only about the death sentence he feels he has received, but in having a so-called “gay disease”. Ron Woodruff is homophobic. The reaction of his equally homophobic friends is to abandon him. Woodruff eventually travels to Mexico and discovers a range of treatments. None are approved by the powerful Food and Drug Administration (FDA) for use back in the United States. He begins transporting the drugs back to the States and soon runs into trouble with medical authorities. His partner in these illegal activities is Rayon an HIV-positive transgender woman. They meet in hospital and at first, Woodruff cannot deal with her. Eventually, he learns some kind of understanding of Rayon and they form a bond. In order to avoid charges for selling non-approved medicines, Woodruff hits upon the scheme of charging those seeking the drugs a membership to the ‘Dallas Buyers Club’. Membership costs, but the drugs are free. When AIDS hit America an extremely complex series of events occurred. Health authorities were accused of doing too little. People with AIDS were mostly young and died incredibly quickly because there was no cure. The idea of an incurable plague challenged the assumptions of First World medical supremacy. The fact that many who contracted AIDS were from the gay community led others to declare HIV/AIDS to be a punishment from God for what they perceived as the wickedness of homosexuality. It was a time of great fear and upheaval. That reality is merely hinted at here. I understand that it isn’t fair to criticise the film for not being ANGELS IN AMERICA, but it doesn’t even take on the depth of the story it has a license to tell. Ron Woodruff is portrayed as a heterosexual good ol’ boy who somehow catches a so-called gay disease and then puts his energies into fighting the overreach of big government. We are given no great insight into Woodruff’s earlier life or current thoughts. If anything he is portrayed even more sketchily than Rayon. She is somewhat of a construct who is saintly and wise and seems to be in the movie because the homophobic character needs a transgender character to challenge his straightness. We do however, meet her father and get as glimpse at her former life. It all feels somewhat formulaic and didn’t ring true for this reviewer. This goes doubly for the tacked on relationship with the concerned doctor played by Jennifer Garner. Which is to take nothing away from the performances of McConaughey or Leto. McConaughey has moved away from his shirtless version of the good ol’ boy. His performances in films like THE LINCOLN LAWYER, MUD and THE WOLF OF WALL STREET show a greater depth of characterisation than his earlier, lightweight leading man roles. He has always been watchable, but lately he has done some of his the best work and is choosing great projects. Despite having a long career, Leto’s work has never made an impression on me until now. It is for the fine performances of these actors that the movie is getting so much attention in award season. 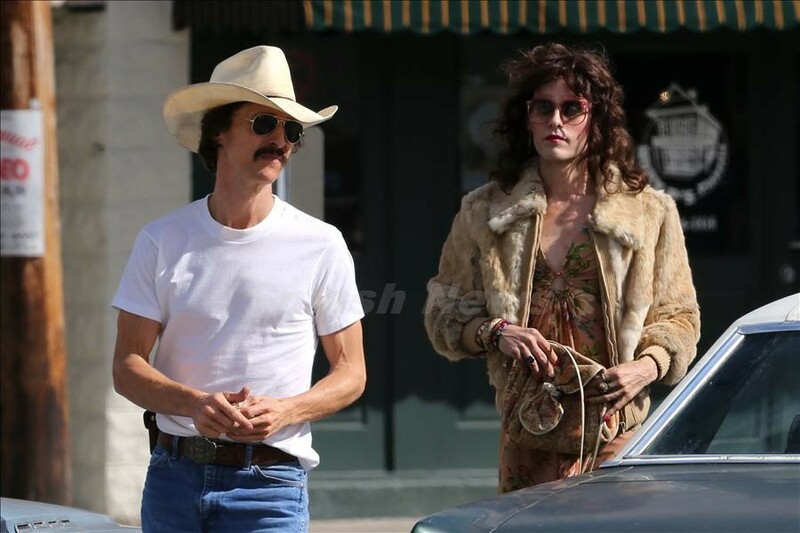 DALLAS BUYERS CLUB is a movie for audiences who want a simple story about how a man is redeemed by battling against a deadly illness, the government and Big Pharma. For anyone looking for a straightforward film about this kind of human struggle, this movie will be a satisfying experience.